Put the Fender Acoustic sound in your hands with this Fender Acoustic Guitar bundle. 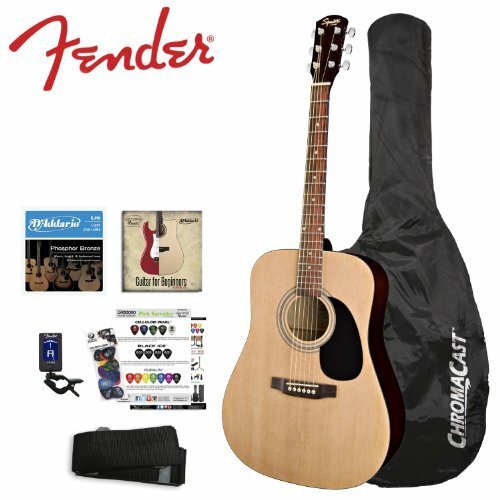 This acoustic guitar pack features a great-sounding, full-size dreadnought acoustic guitar and a host of essential accessories. 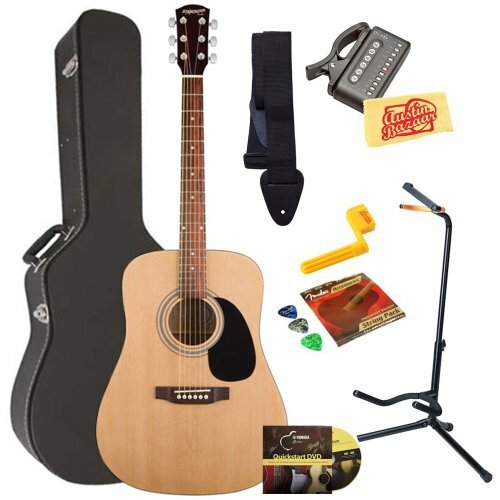 This Fender Acoustic guitar package includes everything a budding musician will need in order to start learning the guitar. 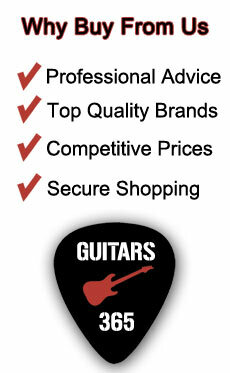 Fender have been making guitars since 1946 and you can rely on their guitars to deliver quality every time. 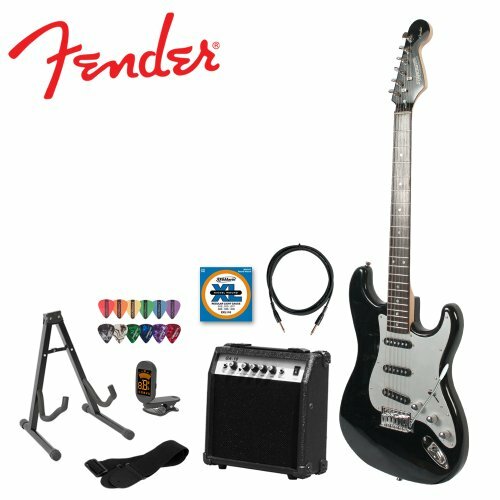 To get a fender guitar and a wide range of accessories for a price like this is incredible and the team at guitars365 recommend this to anybody who wants to get into the hobby without dropping a large sum of money.